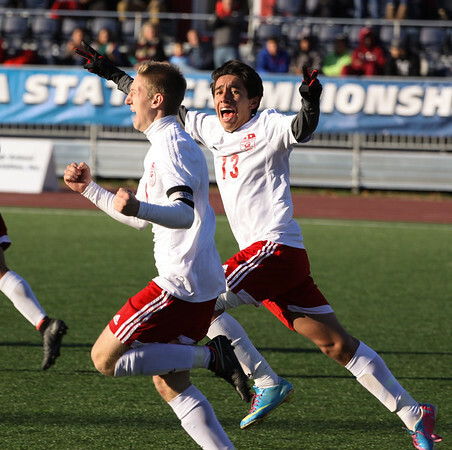 Goshen senior midfielder JT Plavchak celebrates after converting a penalty kick in the 74th minute of Saturday's 2A Boys Soccer State Championship at Carroll Stadium in Indianapolis. He scored the game's only goal as Goshen defeated Brebeuf Jesuit 1-0. Behind him is fellow senior Jesus Dominguez Olvera.